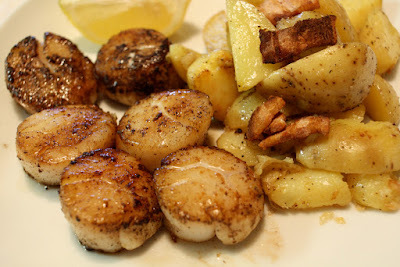 The Best Side Dish for Your Scallops- Hello everybody, welcome back with ZetiraKitchen! Today i will share Side Dishes for Your Scallops. what is scallop? scallop is a a kind of mollusca that live in water on its shell. Scallops contain proteins that are important to the body. 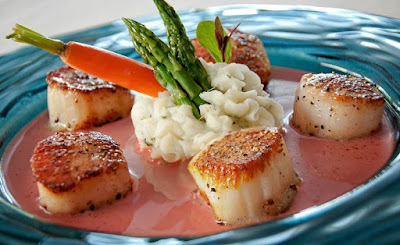 When preparing scallops, dont overcooking them; the naturally more delish if sweet flesh gets rubbery and bland. In store you can find two types of scallops: sea scallops and bay scallops. 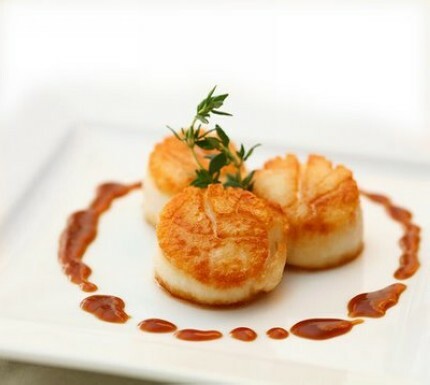 Sea scallops are larger and can be seared, while bay scallops served better tossed in sauces or fried with hot oil. there you can do for your potatoes: roasted red potatoes, herbed potato gratin with roasted garlic and manchego, baked potatoes mini. you can use pasta orzo as side dishes scallops. 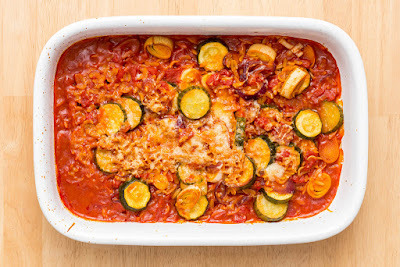 Many restaurant chefs prepare scallops with orzo paste. The best side of orzo featuring a light flavor with my scallops and coupled juicy lemon or parsley. Variety of vegetables can be determined from the season when you make a scallop. In winter you can made: roasted garlic and lemon broccoli, sautéed swiss chard with garlic and lemon, oven-roasted cauliflower with garlic and lemon. in spring season you can use: sauteed ﻿asparagus ﻿with olives and basil, lemon parmesan asparagus, sauteed sugar snap peas. 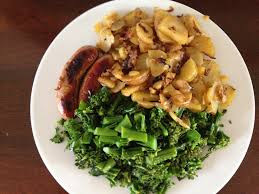 or in fall season the vegetable can you made: roasted brussel sprouts, sauteed carrots, sauteed kale and applesarations for scallops. You must selected best starch for your scallops. Isn't complicated like choose the vegetables, just selecting a starch to pair with the buttery flavored scallops.